Redmond upends Mt. Si 3-0 in an exciting and physical KingCo 4A Varsity tour de force under the Friday Night Lights! In a highly anticipated match, Redmond and Mt. Si met on Friday night for a Battle Royale between two undefeated squads. Everyone in attendance knew that something was bound to give! After the opening whistle, Redmond seemed a bit on their heels and taken aback by the physicality of the Mt. Si players. The size and speed of the Mt. Si forwards immediately asked questions of the RHS defense, with Gordon courageously snuffing out a scary Mt. Si attack right out of the gate. This was definitely a different type of opponent than the Stangs had encountered in the early season. This was big boy soccer. An early RHS attack progressed nicely with a well-placed Stein cross into the box for an approaching Rabadan who pushed the strike just a touch wide. A couple of possessions later, Mt. Si offered another dangerous attack down the left side of the field which ended in a scrambling Escalante having his mettle tested by an imposing Mt. Si forward. Additional chances would periodically appear for both sides, and Mt. Si soon took a free kick a few yards outside the Redmond box which squirted past the RHS wall into dicey territory before being tracked and pinballed out of the red zone by a scampering Cain. As the match progressed, the Stangs began to match the physicality of Mt. Si, with notable hard-nosed play from Diaz in full display, and this carried over through the end of the first 40. After the scoreless first half, the Stangs knew that they would need to continue to be stingy on defense. Almost immediately after the opening whistle of the second, “The Beast” Wiyrick made a strong statement by clearing a ball into the stratosphere and dropping a Mt. Si attacker in the process who would have to think twice before again challenging His Beastliness. On the offensive side of the ball, Redmond fans weren’t sure if or how the Stangs would ever be able to penetrate the Mt. Si defenses. As it turned out, the long ball was the key to the puzzle. 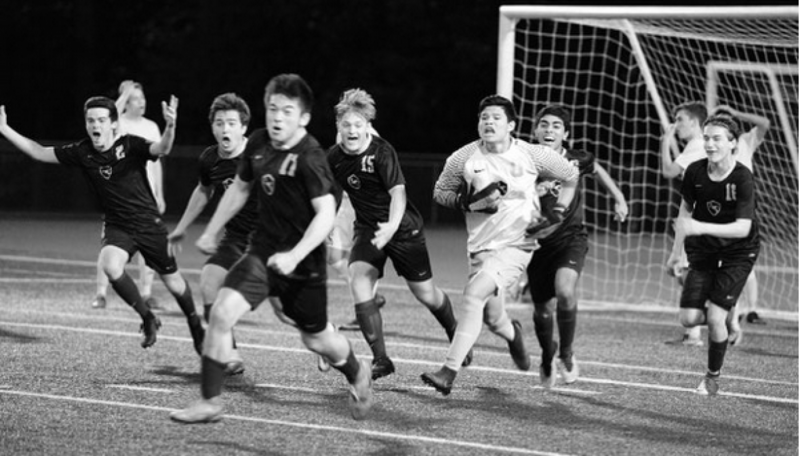 Lining up for a long free kick near the left touchline a few minutes into the half, Stein had a twinkle in his eye that could be seen from the cheap seats and delivered on a high arcing “Bend it like Jacen” strike which left all RHS fans agog with shock and unbridled joy. Mt. Si started pushing hard, searching for the elusive equalizer. Long balls and runs down the wings were the name of the game. A captivating mano e mano again featuring Wiyrick and “Big Mt. Si Guy”, ended with The Beast trotting calmly away from his Mt. Si opponent who was left on the ground, staring into space and thoroughly frustrated with his inability to make inroads against the stout RHS back line. With time winding down in the match, Stein once again came through on a direct kick, this time a few yards outside the Mt. Si box. Stein delivered another beautiful shot with a lot of shape on it to befuddle the Mt. Si keeper. 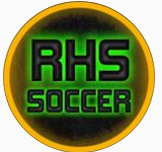 A short few minutes later, RHS struck again with the long ball, when a scrambling Hernandez was given just a touch of space by the Mt. Si defenders at the top of the box. A touch of space was all that was needed to angle the ball into the upper right corner, surprising and confusing the Mt. Si keeper for the 3-0 lead and sealing the win! Next postPicture Day THIS Thursday, March 28th!! !